Right now my world is good. I have just returned from a wonderful holiday with one of my best friends. Even though we hadn't seen each other for over 6 years (and even then it was only for a couple of hours following a funeral) when we drank coffee together in Tim Horton's just after my arrival, it felt like no time at all had passed. 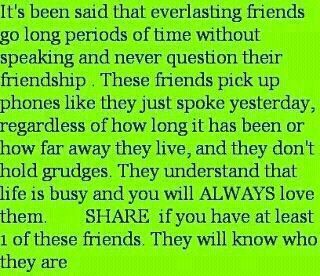 This was on facebook recently - how true is this? I came home to my wonderful husband and my beautiful boys and, of course, the fabulous Zena. I am truly blessed to have such a wonderful family. Mr Thrifty and I spent the first couple of days at Hearing Dog's HQ in Princes Risborough, Buckinghamshire catching up with Zena's trainer. Mr Thrifty knows me very well and was thoughtful enough to have brought a package with him. In my haste to explore the contents I forgot to take photographs and as I can't find my camera at the moment (this is where I have to admit that I haven't unpacked from my trip yet), so I am borrowing Debby's fabulous photos. Have you guessed yet? 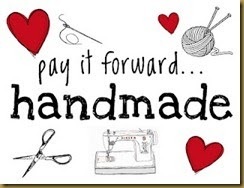 It was my 'Pay it Forward - handmade' from Debby in the US. But my blessings didn't end there, because I arrived home to another package. I had won the give-away from Isobel at http://www.thehomenest.blogspot.co.uk/ - another wonderful blog, so if you haven't discovered Isobel yet, do go and have a visit. Isobel's give-away included this fabulous book, 3 rather special Addi crochet hooks AND a bar of exquisite chocolate. Thank you so much Isobel. 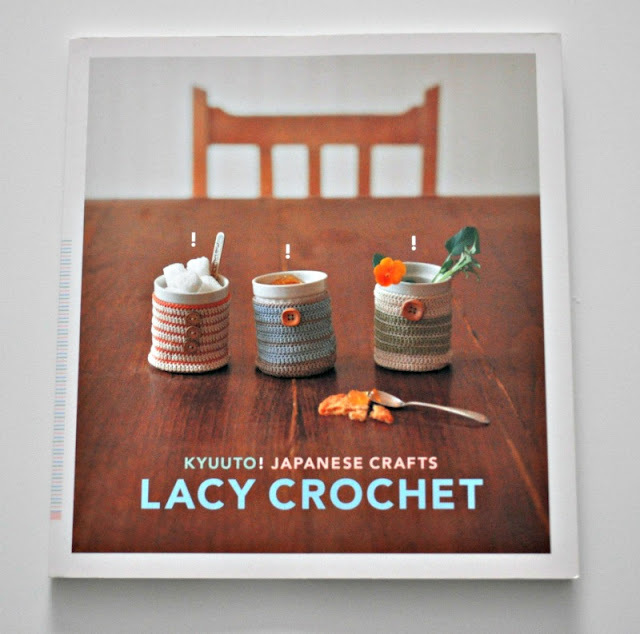 I am looking forward to starting a crochet project from the book. I have to say that since I started blogging in January my world has expanded. I have blog pals from different corners of the earth and have been blessed by their blogs, their comments and by the exchange of gifts. I feel equally blessed by the people who choose to follow my blog and to leave their comments. Thank you all and may you be equally blessed. I am, Mrs Thrifty...I am. We are, aren't we ! I had seen what Debby had sent you on her post ... absolutely wonderful. Oh I so wish I had been blessed with craftiness, however I am certain I have many other blessings in my life ... in way of family and friends. Glad you had a wonderful holiday,the apron and the gift look amazing.I wish i was a bit more talented in the crafting department. What a lovely post. I am truly blessed to. I am going through a hard time, but I am still counting mine and my family's blessings. Sounds like you are a very happy bunny!